How to watch Blu-ray movies on Fire HD 8 tablet (2018)? How to Rip Blu-ray to Fire HD 8 tablet best playback format? The 2018 Amazon Fire HD 8 is only a tiny upgrade to last year's model. The all-new Fire 8 tablet features an 8-inch HD display and offers 16GB of storage. You can watch all your favorite movies and TV shows from Netflix, Hulu and more or cozy up with a new book from millions of Kindle eBooks options. You also won't have to worry about recharging your battery throughout the day because the Fire 8 offers up to 10 hours of battery life. For $15 you can turn off the ads; for $30 you can upgrade the storage to 32GB. How to watch Blu-ray movies on Fire HD 8 tablet? 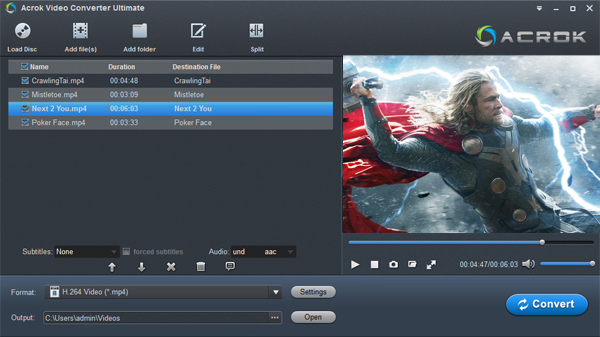 Handbrake is a pretty popular program as it has been around for quite a few years and as the number of visits to this guide can tell is among the most popular tools for DVD to H.264 conversion. The latest version added Blu-ray support, so we will use it in this guide in order to create a high definition 1080p MP4 file with H.264 video. Due to the limited memory of the tablet, it is necessary to compress the movies. This answercan be found in the following text. HandBrake is a free video decoding program app that is preset with "Android Mid" and "Android High" in the version lower than 0.9.9 and "Android" and "Android Tablet" profiles in HandBrake 0.9.9 . Now, the up-to-date HandBrake 0.10.0 has been released. However, when trying to decrypting Blu-ray to Fire HD 8, users have to exert themselves to the utmost to make some adjustment on settings. With ready-made Amazon Fire HD presets, Acrok Video Converter Ultimate should be reckoned among the best alternatives to HandBrake in ripping Blu-ray for Fire HD8 tablet 8 inch display. This Fire HD 8 Blu-ray Ripper is powerful and standalone in Blu-ray region code/copy protection removing, fast in Blu-ray conversion speed and great in the support for all mainstream video formats and devices in the output category. You can also convert Blu-ray to Fire HD 8 tablet MP4, 3GP, MKV, OGG video using Acrok Video Converter Ultimate for Mac. In support of all new movies, the Windows/Mac Blu-ray ripper can help you watch Blu-ray, DVD and downloaded MKV/MOV/AVI/MP4 movies on Fire HD 8 without any problem. How to transfer and play Blu-ray movies on Fire HD 8? Double click the icon to launch this best Blu-ray Ripper or Top Blu-ray Ripper for Mac. Insert the Blu-ray to Blu-ray drive, and tab "Load Disc: icon to load the video content. Much superior to many other Blu-ray backup utilities, this one also support Blu-ray ISO image and VIDEO_TS folder as the source file. 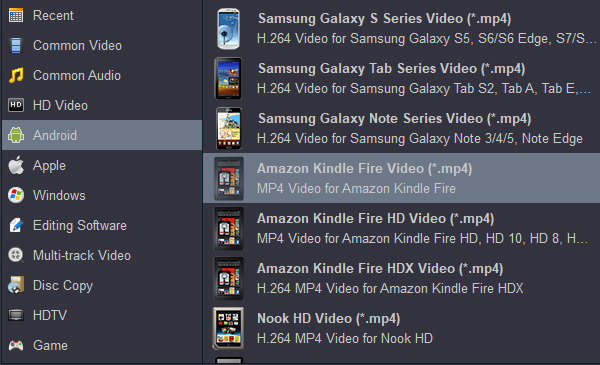 Format -> to Android -> Amazon Kindle Fire Video (*.mp4). You can choose to output it in a format of MP4, 3GP or OGG for playing on Amazon Fire HD 8. Tip: Change the destination folder to save the output Blu-ray file if you want. This Blu-ray to Fire HD 8 ripper enables you to merge several titles or edit the video/image for playing Blu-ray movies on Amazon tablet. Hit Convert button to start ripping and compressing any Blu-ray to your Fire HD 8 (2018) or new Fire HD 10 on Mac/PC. When the conversion is done, click Open button to locate the converted movies and transfer these moveis to Fire HD 8 for playing on the go. Acrok Blu-ray Ripper can also rip Blu-ray to Galaxy S10 Plus, HTC U12 Plus, OnePlus 6T, Google Pixel 3, Surface Go, Huawei P30, as well as Samsung Galaxy Tab S, Lenovo Pad, Asus Pad, iPad Pro, and so on. 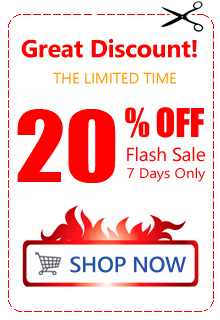 It excels in fast Blu-ray copy speed and high audio/video quality maintenance. Video Converter Ultimate is the best version of Acrok soft video conversion software. I can play any format on my Androi tablet freely. Thank you very much.